Sibanye Gold Ltd. said a protracted strike at its South African gold mines may hurt earnings at a time when the producer remains under pressure to reduce debt. Workers allied to the Association of Mineworkers and Construction Union started a strike on Nov. 21 and the union has vowed to continue with the stoppage after refusing a wage deal agreed to by three other unions. Any hit to earnings would hurt Sibanye’s plans to cut debt, which swelled during an acquisition spree. 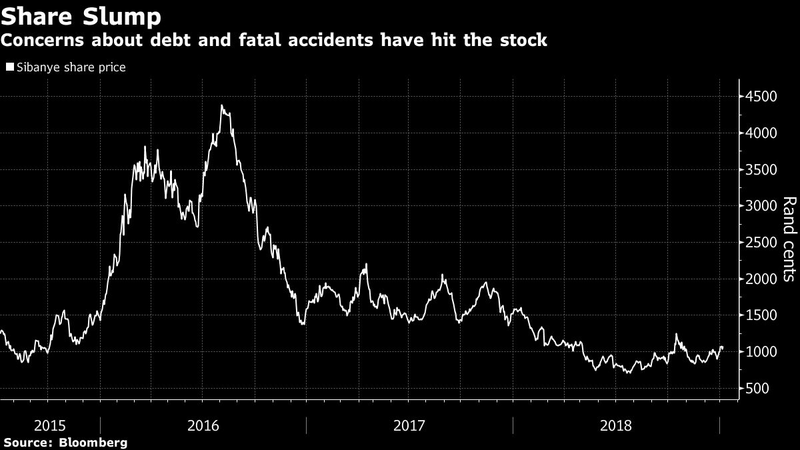 The company’s shares dropped 34 percent last year amid concerns about borrowings and and an increase in fatal mining accidents. The biggest gold producer in South Africa can’t afford a prolonged production hiatus at its gold operations even though a rally in palladium has provided some cushion, said Hurbey Geldenhuys, an analyst at Vunani Securities Ltd.